This is to inform the general public that the sale of online application forms for admission into the 6th Regular Course of degree programme of the Nigeria Police Academy, Wudil, will commence on Saturday 20th April, 2019 and end on Monday 22nd July, 2019. Admission into the Academy is open to both male and female Nigerians of good character. Exams will be held nationwide on Saturday the 10th August, 2019. All applicants can now print their exams slip to know their venue, time and seat number. Interested Applicants are advised to go to the Nigeria Police Academy’s Website in order to obtain or generate Remita Retrieval Reference (RRR) Code. The RRR code obtained can be used to make payment of N3,500.00 through any commercial Bank Branch in Nigeria. Applicants must, in addition, apply through the Joint Admissions and Matriculation Board [JAMB] as well as sit for the Unified Tertiary Matriculation Examination (UTME). 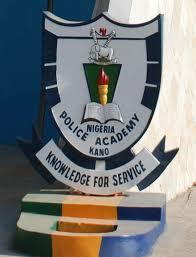 Candidates need not select the Nigeria Police Academy, Wudil as a University of choice in the JAMB form. However, only candidates who obtained the minimum UTME scores of 180 which is the Academy’s Cut-off mark in JAMB (180) and purchased the Academy online Application Form will be eligible to sit for the Nigeria Police Academy Selection Examination. Only candidates who meet the cut-off mark will be enabled to download and print their examination cards. The Nigeria Police Academy, Wudil Selection Examination, may be Computer Based Test (CBT) or Pencil and Paper. The examination shall comprise of a General Paper (Section A) which is compulsory for all candidates. It will cover areas such as general knowledge and current affairs, English Language and Mathematics. Other sections are to be selected according to candidate’s Faculty of choice. It will be conducted on Saturday the 10th August, 2019. Only candidates who meet the Academy’s cut-off mark of 180 in UTME and above will be eligible to sit for the Nigeria Police Academy Selection Examination at the 19 designated Centres. The list of Centres is in the Academy Website. Eligible candidates are to bring along to the examination venue their Acknowledgement Form, Examination Card, current JAMB Result Slip and two Postcard size photographs (3.5x5 Inches) which should show only from the chest upwards. At the back of each of the two Postcard size photographs, the candidates must write their name, State of origin, Examination Centre and signature. Upload your passport photo (150x150 pixels) and submit. After successful payment, log in again and fill you comlete form.